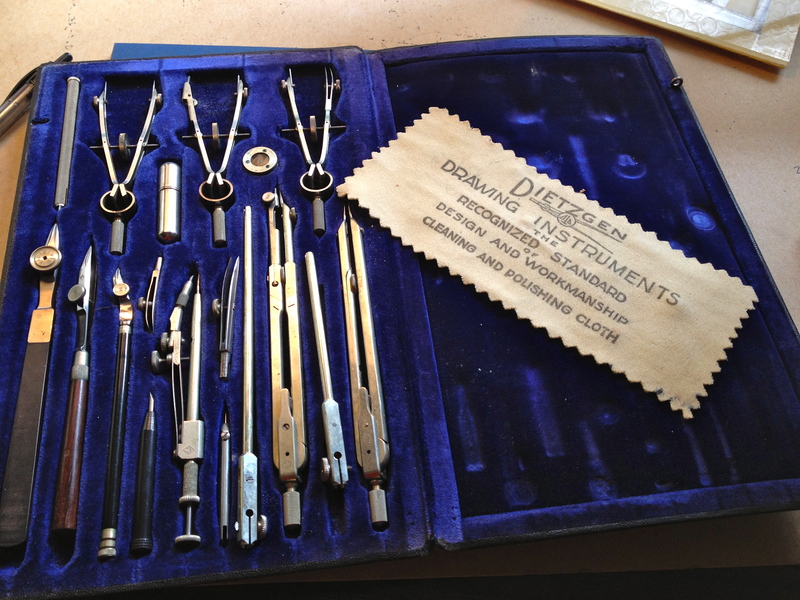 I loved playing with this drawing set in my dad’s desk drawer when I went to his office. Mostly I liked polishing the instruments and putting them away, all in their own spaces. This looks in beautiful condition…for that beautiful memory!! !